When I put this on, Nicole said I looked about 3 shades darker. That’s pretty awesome, right? 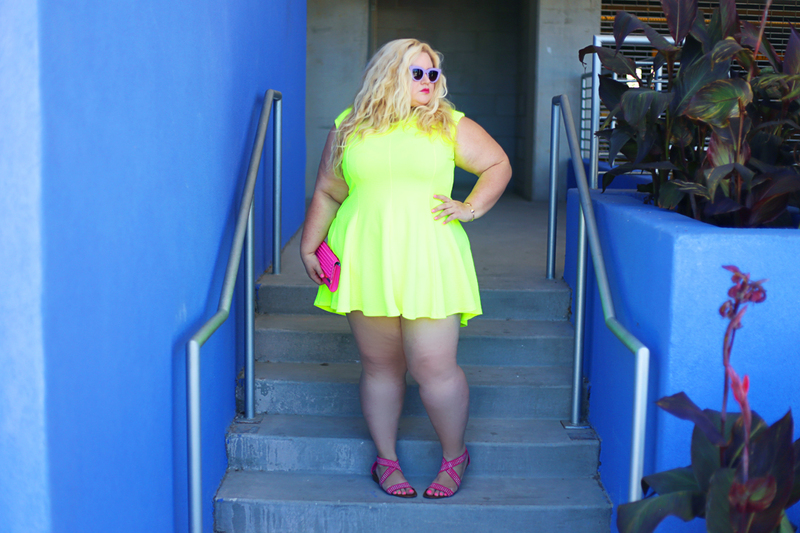 I’m already sporting a decent tan, so slipping into a neon dress is a fantastic way to look a little darker, without damaging my skin. Now clearly, this dress does not * I REPEAT* DOES NOT actually tan your skin. But, that having been said, I do feel like I look pretty tan and amazing in neon green, pink and yellow. This dress is labeled a bright yellow but its more of a neon yellow green in person. It has a high low hem and is made of a stretchy fabric that hugs my curves so very nicely. This dress also comes in pink and in black. If you love neons too, you’ll be hard pressed to choose just one. I’m wearing the 3x and if you’re between sizes, you might consider going up a size. 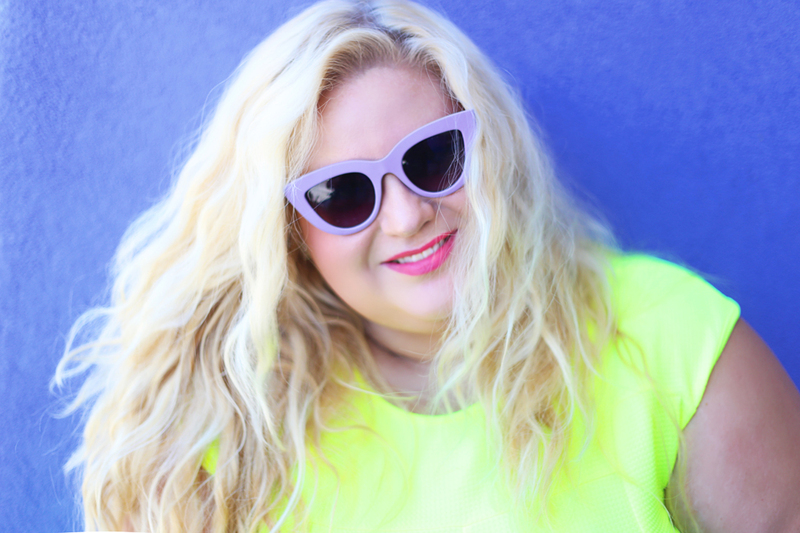 If you’re new to my blog, you may not know that I’m 5’4 and generally a size 20/22. As soon as I saw this dress, I knew I wanted to wear it for a night out dancing with the girls, the fabric is light enough for summer and it has an incredibly fun, flared – high low hem. I paired it with my favorite pink clutch, iridescent earrings, some low heals [I’m so all about comfort] and a fun pair of cat eye sunnies [links below].